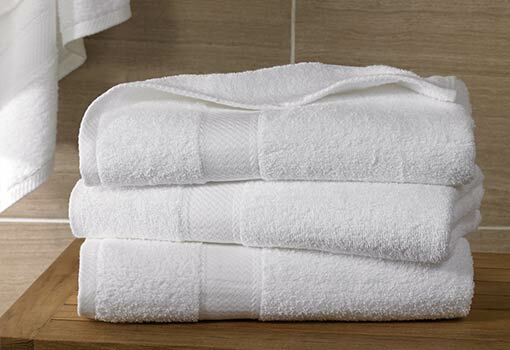 Instant warmth, a plush feel, and classic style—no wonder you love our signature bath towel as much as we do. Beloved by Hampton guests, bring home our white cotton blend bath towel for consistent, everyday comfort. Made of a thick cotton blend, the dense weave wicks away moisture for the most relaxing bath experience.